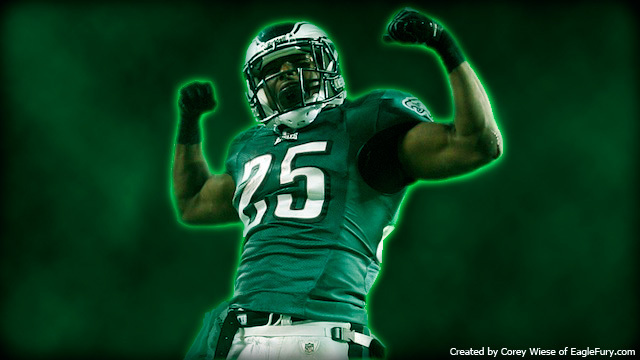 LeSean McCoy in all of his Eagle Green Glory with a Frankenstein glow in a eerie green fog. EagleFury is the spot to find Eagles Fan Art. Have a suggestion for Fan Art? An Eagles player you’d like to see in a certain element or surrounding? Leave a comment below or send a tweet on Twitter detailing your suggestion and we’ll make it.